Totem poles carved with mythical forms, symbols, and creatures are located in Marine Park, just west of I-5 and the City of Kalama. The unique collection of totems were carved by a local Native American craftsman, Chief Don Lelooska over half a century ago. 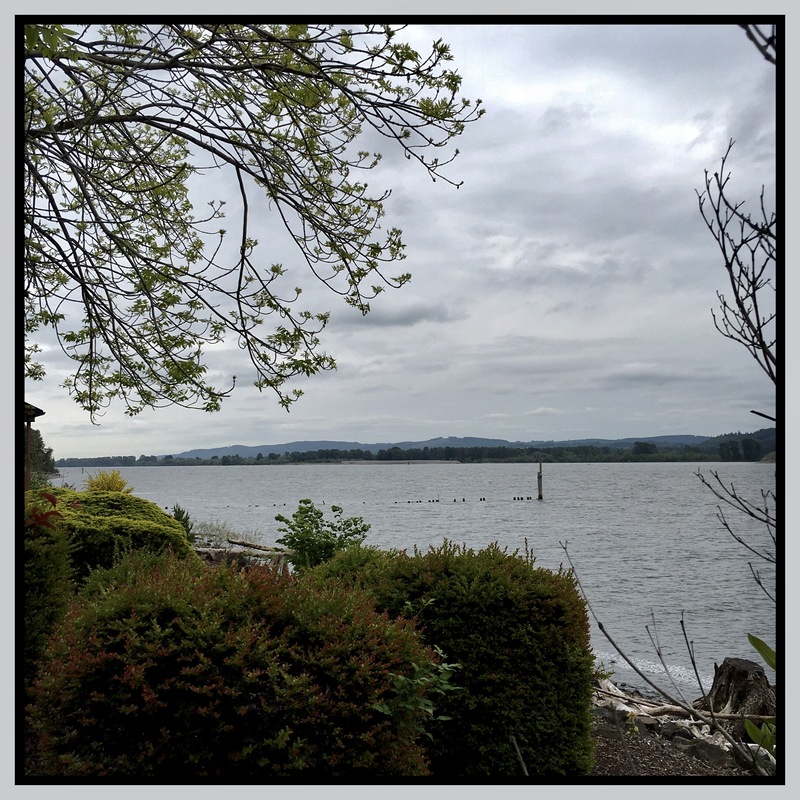 Now they are maintained by members of his family along with the Kalama community. The largest of the poles was carved out of a 700 year-old Western Red Cedar. It stands 140 feet high and is celebrated to be the tallest one-piece totem in the world… created from a single tree. 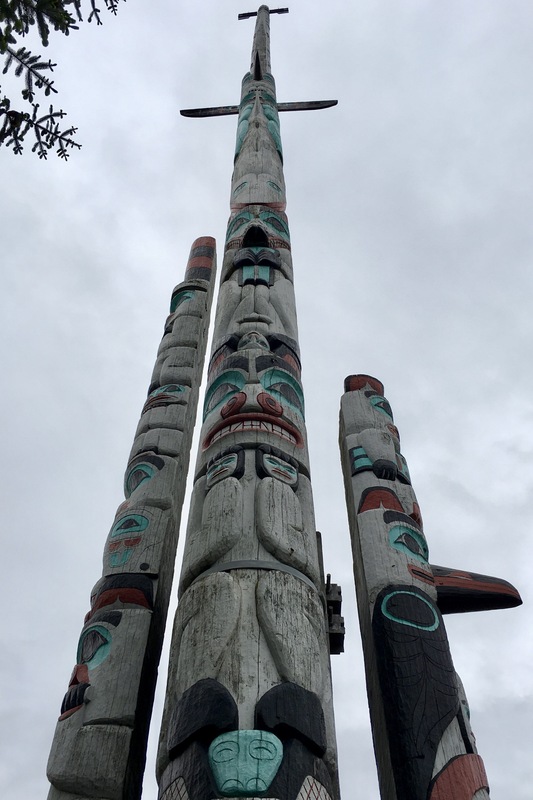 This post adds to Ben Huberman’s selection of Totem Poles as a subject for this Photo Challenge theme. So intricate – must be painstaking work! Indeed, I can’t imagine even where to begin on a art piece of this size. 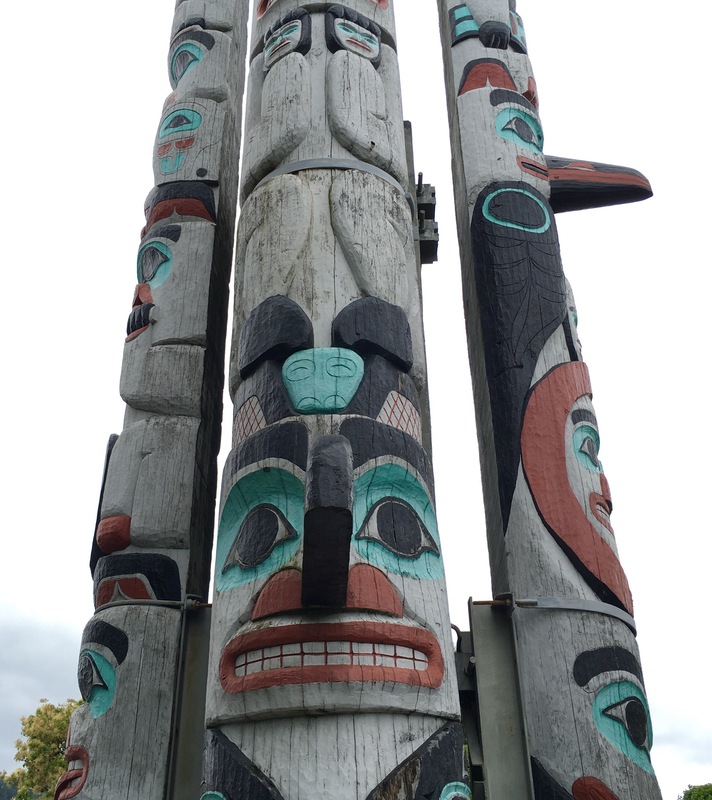 Totems are impressive in craft and symbolism.